BITSAT 2018 Admission offers (2nd round) has been released on 30th June 2018. BITSAT 2018 is also referred as Birla Institute of Technology & Science Admission Test. 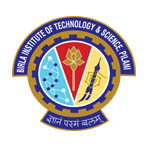 It is a university level examination, which is organized by the Birla Institute of Technology and Science (BITS), Pilani. BITSAT exam is an online based examination conducted for providing admissions to all the degree courses offered by BITS and its other campuses. Through BITSAT 2018, students will get admission in engineering, pharmacy & science courses. Here we are providing details about BITSAT 2018 exam, including important dates, result, counselling, admission, etc. BITSAT 2018 Admission Offers after Iteration II has been released on 30th June 2018. Candidates can make the fee payment till 8th July 2018 (5:00 PM). Check here for admission details. Get the latest updates & notifications about BITSAT 2018 Counselling & Admission Details. Check here for admission details. BITSAT 2018 Admission Schedule for further events has been released now. Check here for admission details. BITSAT 2018 Admission & Wait Lists offers has been released now. Candidates can make the fee payment till 28th June 2018. Check here for admission details. BITSAT 2018 Admission Form on the basis of BITSAT scores can be filled till 18th June 2018 (5:00 PM). Check here for admission form details. BITSAT 2018 Result can be checked after one day of the test date through login. Check here for result details. BITSAT 2018 Admission Form on the basis of 12th marks can be filled from 1st May to 18th June 2018. Check here for admission form details. Candidates who have submitted their requests for exam date change can download their hall ticket from 15th May 2018. Check here for hall ticket details. Note: For such candidates, the examination will be conducted on 27th May 2018. BITSAT 2018 Sample Test has been released now. Click here for sample test. Request for Change in BITSAT exam date can be done from 10th – 13th May 2018. Click here to submit request. Note: By receiving requests from some candidates for change in BITSAT exam dates/ slots/ centers due to clash with other exams etc. The exam for such cases will be conducted on 27th May at few select centers. BITSAT 2018 Admit Card has been released on 12th April 2018. Check here for admit card details. BITSAT 2018 Test Centers Allotment has been announced on 21st March 2018. Click here to check test centres. BITSAT 2018 Slot Booking has been started from 23rd March 2018. Check here for slot booking details. Click here to check BITSAT 2018 Application Status. BITSAT 2018 Application Form Last Date has been extended till 19th March 2018 (5:00 PM).Check here for application details. BITSAT 2018 Application Correction has been started from 15th March 2018.Check here for application details. The result is declared through online mode. It can be checked after one day of the test date. Cut off will be the minimum marks considered for providing admission in various courses offered by BITS. Cut-off will be released after the declaration of result. It will be published for admission in Pilani, Goa and Hyderabad campuses. BITSAT cut off will depend upon various factors like difficulty level of exam, students appeared, category and seats availability. BITSAT 2019 examination will be organized by the Birla Institute of Technology and Science (BITS), Pilani. It is conducted to offer admission to engineering, pharmacy and science courses in different specializations. It is a university level examination. Through this exam, candidates can get admission at BITS, Pilani, K.K. Birla Goa Campus and Hyderabad Campus. Students can apply for admission with 12th marks or BITSAT score from 1st May – 18th June 2018. Question: I have cleared my 12th exams in the year 2016. Can i apply for BITSAT exam? Answer: You are not eligible to apply. Question: Should I have to apply separately for admissions in Pilani, Hyderabad and Goa campuses? Answer: No, only one application form will be sufficient. Question: Which subjects I can include, while calculating the aggregate marks? Answer: For CBSE students, include PCM and English/Hindi and any one additional elective (total five subjects) and for ISCE students, include PCM and English in the aggregate. Question: I have passed 12th exam with PCB subjects. Am I eligible to apply for BITSAT exam? Answer: Yes, you can apply. Question: BITSAT exam will be conducted through online or offline mode? Answer: BITSAT exam will be organized via online mode only. Question: When will be the BITSAT Application Form 2018 released? Answer: The application was released from 19th December 2017. Question: Can I make corrections in the BITSAT Application Form 2018? Answer: Yes, the authority has provided the correction facility in the application form. Question: I am appearing in 12th examinations, can I apply for BITSAT exam? Answer: Yes, students appearing in the qualifying examination in the year 2018 are eligible to apply. Question: Is there any negative marking in BITSAT exam? Answer: Yes, one mark will be deducted for incorrect answer. Question: Is there any need to send the application form to the authority? Answer: No, there is no need to send the application. BITSAT 2018 Application Form was released via online mode from 19th December 2017. The application fee was Rs. 2450/- for female candidates and Rs. 2950/- for other candidates. In case of choosing Dubai as an exam centre, then students have to pay US $ 70 (Rs. 4500/-) for both male & female candidates. Qualification Eligibility for B.Pharma: Students must have cleared the 12th or equivalent exam from any recognized board with Physics, Chemistry & Biology subjects. Appearing Candidates: Students who have passed 12th exams in 2017 or appearing in 2018 are eligible to apply. Percentage Criteria: In the 12th exam, candidates must have obtained 75% marks in PCB/PCM group. Candidates must have obtained 60% marks individually in Physics, Chemistry & Mathematics/Biology subjects. The admit card has ben released through online mode. Candidates can book their slot from 23rd March to 5th April 2018. Admit card is available from 12th April to 10th May 2018. Successfully registered candidates can download the admit card through the website. The admit card contain details like candidate’s name, exam date & timing, exam venue, etc. For any other details related to BITSAT 2018, you can leave your queries below. according to score, your interview and your skills. I have cleared 12th board exams in 2017 with an aggregate of 72% but in pcm my aggregate is 76%, am i eligible for bitsat? Sir i passed out 12 in 2016 can i appear for bitsat 2018? I am appearing 12th board exams in 2018.can I appear in bitsat 2018? this year your can apply for BITSAT 2018. Sir I’ve secured 63% in state (bihar) board in 2017. Can I apply BITSAT 2018. As per the percentage criteria you are not eligible. Check the percentage criteria. As per the percentage criteria you are not eligible. Can we get admission in bits pilani on the basis of 12th class percentage criteria or there is a need for give bitsat? If you will work hard and study minimum 5-6 hours you can crack the exam. I’ll be completing my class 12 this year . when I can apply for bitstat and how? I am appearing for 12th boards is there any way to get in BITS other than BITSAT ? Can dropper also eligible for BITSAT? Can u say me which syllabus i can prepare for JEE Main And Advance..??? ncert is best.But, go for some other reference books also to score good marks in exam. Sir,I am going to 12 std.board exam.in 2018 march.when can i apply for bitsat 2018. For the year 2018, you can apply. Sir i have got complete 79% marks in class 12th board exam this year but my aggregate percentage in PCM is only 72 am i eligible or not??? Sir am bit confused please clarify that it requires aggregate 75% marks in 12th of 75%in PCM for BITS? ??????? I have taken more that 1 attempt in class 12th, I failed the fiesta but passed the second am I eligible to apply? Biology is required if you want to to take the B.pharm course but in engineering course Biology is not required. Thank you sir and sorry for repeating of my question it got by mistake .if it creates any problem then sorry for that. Thank you very much sir .may you get million followers sir. Can you tell me about bitsat application fee?please sir very much confused. I passed out 12 in 2016 so can i apply for bitsat 2018? Sir i will pass 12th in 2018 so i will eligiable for BITSAT exam in 2018? I passed 12th in 2016 can I eligible for bits 2018. BITSAT?and when will the forms release? yes, you are eligible. Form will be released in the January 2018. I am in std. 12 at present. Can I give the exam in 2018 or I have to give it after clearing the 12 i.e in the year 2019 ? i will give 12 std exam in 2018 when can i give bitsat? I’m from west bengal, and I will be pass 12th standard in March,2018. Can I apply for Bitsat 2018? And tell me some exam centre in west bengal. Am i eligible for BITSAT?? Sir… a diploma student can eligible for BITSAT 2018 or not? student from BIHAR BOARD OF OPEN SCHOOLING & EXAMINATION(BBOSE) which is to be held in december 2017 are elligible for BITSAT2018 or not?? I have got 88% in board examination …Am i eligible for bitsat 2018.. I will appear in 12th standards inMarch 2018.So am I eligible for the test or not? I have obtained 74.33% in board examination. Am I eligible to give BITSAT 2018. Student have obtained 74% in pcm & CBSE board agreegate 80% .am he eligible to give bitsat 2018 or not. Is there something that the paper in some slots is easy and difficult in some other slots?or is it luck to get an easy paper? I m appearing for 12th board .I m eligible for exam or not in 2018? Yes, you can give the exam. I’m appearing for 12th exam in 2018 soo can i appear in 2018 bitsat exam,if no and only in 2019 may i ask why is this one year delay please? i have passed 12th board exam in 2016 .would i eligible for 2018 bitsat??? I am a student of Maharashtra State BOard going to appear for 12th std.board exam in March 2018. Can I apply for BITSAT 2018 exam? So if I get qualified and not able to pay that fee that was allotted to me or else couldn’t go to Goa or any other place….then what are the consequences..?? Can someone please make me aware of the good books for the preparation of BITSAT 2018 ? Sir, I want to knw that.. 2018 me mai 12th board dunga to addmision form fill kr skta hu Na? And kitne percent chahiye 12th me direct addmision lene k liye bits dubai engineering k liye?? Can i have the full details for sports quota(table tennis)!! At what time i have to apply form for that!! Can we give both jee and bitsat? Do u give any sc/st/obc reservation percentage. Would I get fee concession if I get above 420? I am studying class 12 that is I will be writing the 12th board exams in 2018. I am eligible to take up the BITSAT in 2018?? If no when should I take up the test?? Application process has been over now. I will be appearing for my 12th exam in 2018. Am i eligible for BITSAT 2018 exam? Also i am from state board.. I will be appearing for my 12th exam in 2018, is iam eligiable for BITSAT exam in 2018…. ?